Professor Laura Empson, Cass Business School, has published an article in the Harvard Business Review magazine which examines why conventional leadership principles so often fail in professional service firms, and why trying to unite followers around a vision isn’t enough to lead successfully. Professor Empson writes that in conventional corporate settings, leaders are expected to inspire and direct their employees—leading is something they do to followers. But in professional service firms, the leadership dynamics are different, because the power relationships are different. “Consulting, accounting, and law firms and investment banks tend to be full of highly opinionated rainmakers, who don’t easily accept the role of follower—and may be just as unwilling to act as leaders. In this context, leadership is a collective, not an individual, endeavour, created through interactions among powerful peers, none of whom feel that they have to follow anybody,” she says. Professor Empson says this phenomenon is fascinating to observe but challenging to engage in. She suggests that the solution is to recognise that leadership in professional services firms is actually a collective process, in which the leader balances three interactive dynamics which are in constant flux: establishing legitimacy, manoeuvring politically, and negotiating perpetually. She provides cases studies of highly successful, and also highly unsuccessful leaders and outlines five guiding principles for leading successfully in professional service firms. “The leadership team of a professional services firm includes all the partners; in some firms collective leadership requires input and support from many hundreds of individuals,” she says. Read ‘How to Lead Your Fellow Rainmakers’ in the Harvard Business Review online here. It is published in the March/April edition of the magazine. Professor Laura Empson is the Professor of Management of Professional Services Firms at Cass Business School and the director of the Cass Centre for Professional Services Firms. She is also a senior research fellow at Harvard Law School’s Center on the Legal Profession. She is the author of Leading Professionals: Power, Politics, and Prima Donnas(Oxford University Press)whichargues that the people leading the world’s most influential professional firms, including major accounting and consulting firms, law firms and investment banks, are constantly working to maintain an unstable equilibrium which can be thrown off balance at any time, losing them authority and potentially cause chaos. The book is a result of more than 20 years of research into professional firms and their leaders. Read more about it here. 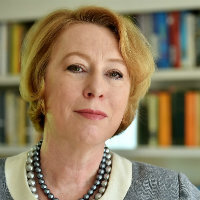 Professor Empson also recently presented a BBC Radio Four documentary which examined the phenomenon of ‘Insecure Overachievers’ - brilliant and successful professionals in the City of London who privately have a constant fear of failure, a feeling intensified and exploited by the internal competition and high-performance environment of the top professional service firms. You can listen to the programme here.